Sarawak Report : BLACKMAILED BY “THE MASTERMINDS OF THE CONSPIRACY”! Why Deepak Changed His Story AGAIN, As A Mysterious RM250,000 Is Delivered To Bala’s Widow! ….steadyaku47 fells duty bound to report the happenings involving one of the convicted murderer of Altantuya : that of Sirul Azhar Umar, now in detention at Villawood in Sydney. If you guys remember, a few weeks back I posted a number of articles on this Khairul Anwar Rahmat and his fascination with Sirul….ahhh yes this Khairul is a Datuk of some kind…but I spit on his Datukship…..he is no more deserving of that Datuk title as Sirul can be said to be innocent of the murder of Altantuya! Datuk Khairul Anwar Rahmat (DKAR) …let me story you! SIRUL AZHAR UMAR : THE TWENTY FIVE MILLION RINGGIT MAN! Well well well….it seems that this Datuk Khairul Anwar Rahmat is again in Sydney today…even as I am writing this post….and this time he did not come alone. No Sir!…he has brought along Sirul’s broher! Is this Datuk doing so out of the goodness of his heart to reunite Sirul and his brother after being apart for so long…or has he got some other sinister, odious agenda in mind? Let me remind you guys that this Khairul guy has got a five star Hotel to run in Malacca, a business empire stretching all the way to Dubal and God knows where else. 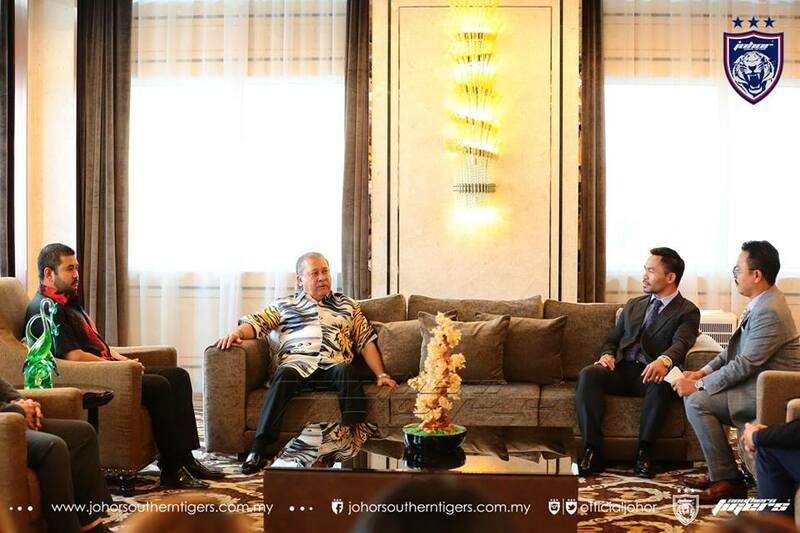 And just a few weeks ago he was with Manny Pacquio when he met the Sulatn of Johor! Now he must be a very very busy Datuk….and yes, among other things, he has about seven or nine cars too! So why would a Datuk with “vast” business interests take time out to go and see the murderer of Altantuya in Sydney and bring with him Sirul’s brother to boot! Has it got anything to do with the RM25 million that Sirul thinks is due to him for making that video? Or maybe it has something to do with Sirul threatening to “sing” about who told him to make the videos, how he made the videos and how the Three Datuks I spoke about, were involved in the making of the videos . And yes…this Khairul is one of the Datuks. I just want to tell Sirul this…and I know he reads what I write….Woi Sirul….siapa yang nak bayar awak RM25 million kerana awak buat video? Kalau Tom Cruise pon susah nak dapat RM25 million kalau dia buat video macham awak buat! Pakai lah otak sikit….jangan RM25 million….nak dapat RM2 million pon susah! Jesus Christ! This Sirul must be stupid as hell…expecting someone to pay him millions for making a video to clear Najib of complicity in a murder WHEN NAJIB WAS NEVER INVOLVED IN THE MURDER AT ALL! How stupid can anyone get! As for this Datuk Khairul Anwar…I just hope his Datukship does not come from Johor because I know the Sultan gets very upset if any of his Datuks starts fooling around with a convicted murderer with a view of doing something underhand or fraudulent…..so maybe Tuanku Sultan Johor should start asking this Datuk Khairul Anwar Rahmat just what he is doing visiting this murderer of Altantuya so often…over six times…and why he is again visiting Sirul this week with Sirul’s brother in tow? I want to know, you want to know and I think Tuanku Sultan Johor too should know!